USP Grade Potassium Nitrate, (Saltpeter), 2.5kg for sale. Buy from The Science Company. Our food grade Potassium Nitrate is safely used in meat curing (corned beef) for color stabilization. We are always looking for good corned beef recipes to share with our customers (either making or cooking). Feel free to email us with your favorite recipe. Other uses for it are in pyrotechnics, rocket ignition compounds, incense manufacture, and tree stump remover. It is one of the three components of black powder, along with powdered charcoal (substantially carbon) and sulphur, where it acts as an oxidizer. Commercial uses include specialty fertilizer, glass manufacturing, and tempering steel. 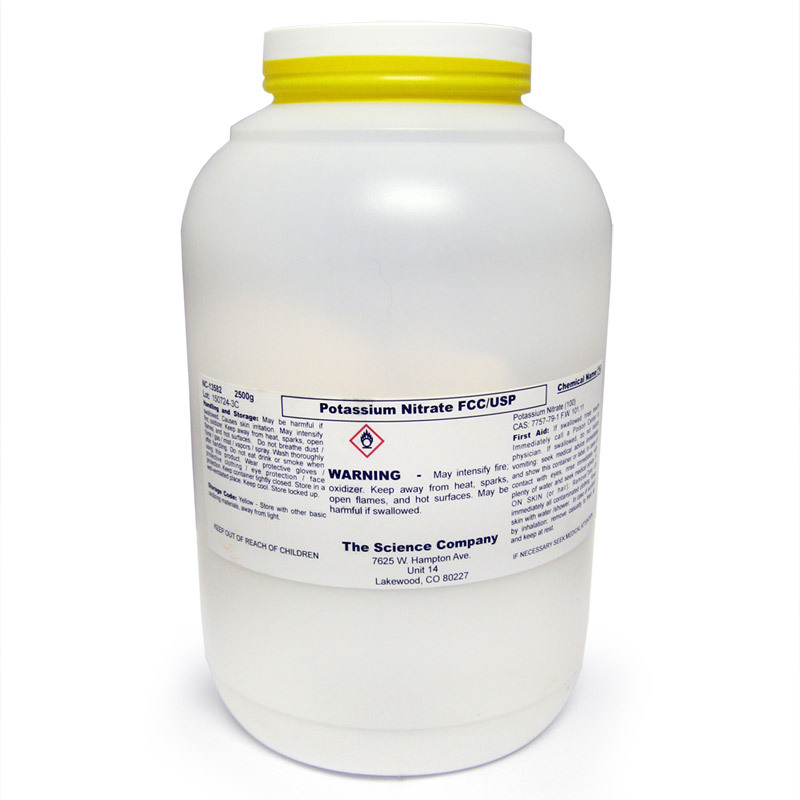 This large size of Potassium Nitrate only ships to destinations within the 48 contiguous US states using Standard Ground. HazMat fee applies. No air deliveries allowed. 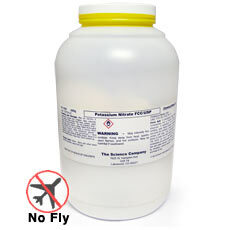 For less shipping restrictions, our smaller 500g size may be shipped to Canada and has no HazMat fee.